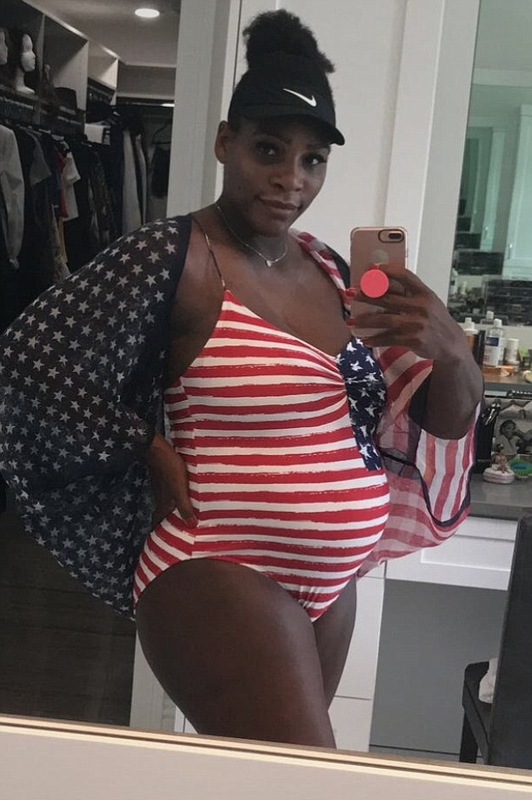 Heavily pregnant Tennis star, Serena Williams revealed she has been unable to find a swimsuit that fits her body properly. She further revealed she went to a discount store and found this lovely piece she decides to rock. 0 Response to "Pregnant Serena Williams Shows Off Her Baby Bump In Swimsuit – Photos"